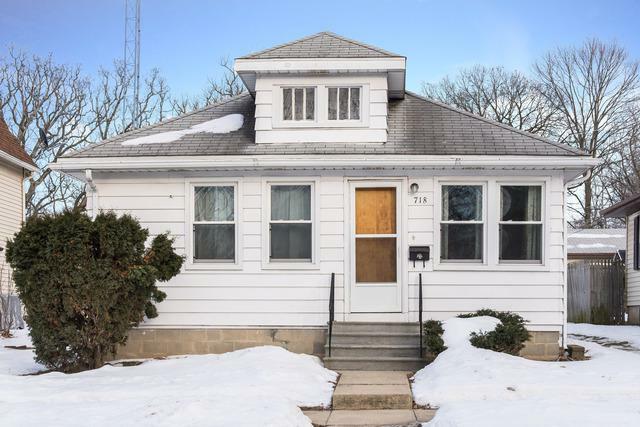 CUTE BUNGALOW ready for new ownership. A pleasant DeKalb neighborhood with two city parks nearby. Walk into the heated front porch that provides extra living space. 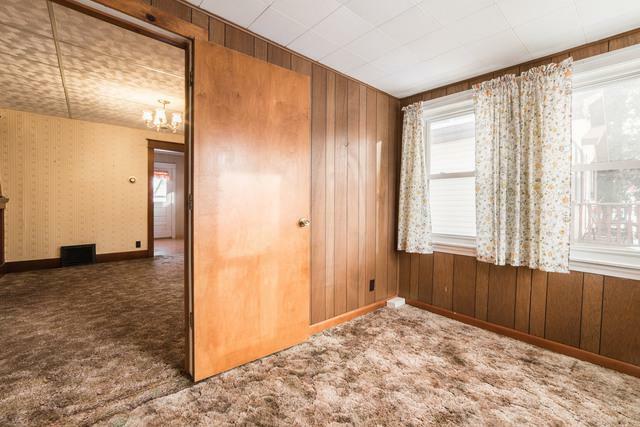 The living room and dining room are nice size with original built-ins separating them. HARDWOOD flooring under the carpeting in LR and DR! Two bedrooms and a large bathroom w/tub-shower and 2 linen closets. Windows replaced 5 years ago, newer sewer line, and electrical has been updated. Partial basement with outside entry has newer furnace. 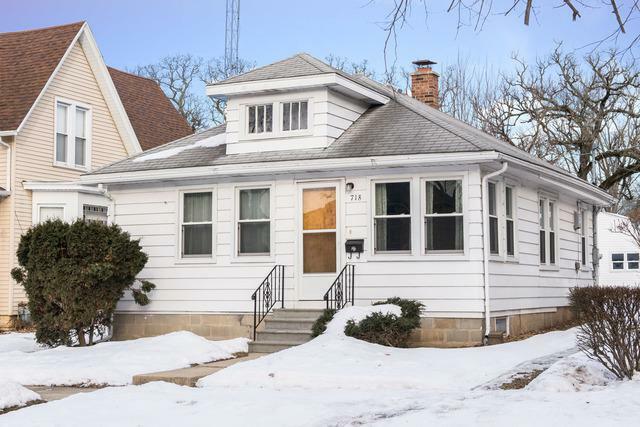 Large detached 2.5 car garage with newer windows and two overhead doors with openers. 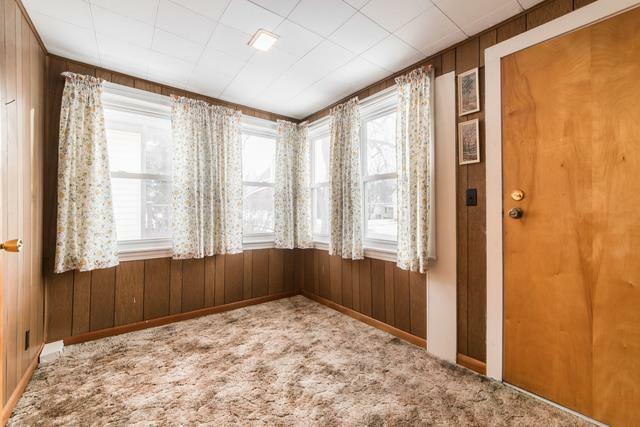 This home is clean and move in condition, but also ready for some updates to make it your own.